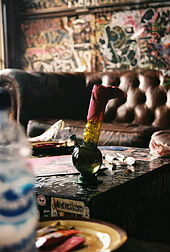 There is an ongoing contradiction, as a coffeeshop is allowed to buy and sell cannabis within the legally tolerated limits, but its suppliers are not allowed to grow or import it, or to sell it to the coffeeshop: “The front door is open, but the backdoor is illegal.” There are proposals for remedying this situation (as of January 2006), e.g. by controlled growing of cannabis to replace imports. One proponent of this is Gerd Leers, Minister for Immigration and Asylum Affairs, who, when in national parliament, was in favour of further criminalisation of cannabis, in keeping with the policies of his party, CDA, which is the strongest opponent of the drugs policy of the Netherlands. When confronted with the practical difficulties when he became mayor (and consequently head of police) he changed his mind and even became the best known advocate against the illegality at the back door, which takes up a disproportionate amount of time and money for the police, in tracking down (mostly indoor) plantations. In 2008, the Vereniging van Nederlandse Gemeenten (VNG, the organisation of Dutch municipalities) organised a wiettop (“weed summit”, a wordplay on the flowery tops that cannabis is made of), attended by 33 Dutch mayors from both big and small municipalities and various political parties. Reasons for the summit were drugs tourism in border regions (the mayors of Roosendaal and Bergen op Zoom had just announced an intention to close all coffeeshops), the strong link with illegality (including laundering of money through coffeeshops) and the discrepancies between the policies of the various municipalities. At this wiettop, all mayors agreed that regulation of the ‘backdoor’ was desirable. Rob van Gijzel, mayor of Eindhoven announced he intended to start a ‘monitored pilot’ of issuing licenses for the production of cannabis. But near the borders, the front door should also be (better) regulated, forbidding sales to foreigners. This would also greatly decrease the demand at the backdoor. Intentions were to discuss the results of the wiettop with the national government before the end of 2008. As of 2014, this discussion is still ongoing. A majority of mayors and users have extended the wish to allow some form of regulated, legal, cultivation for sale to the coffeeshops as this would lower the crime/violence rate, solve the backdoor issue and can generate some income. However, liberal minister Ivo Opstelten has blocked any such proposals so far and has refused to investigate it altogether. The mayors are still trying to force the minister to at least investigate the situation and allow a pilot to be conducted. In a survey among mayors by NRC Handelsblad at the time of the wiettop (with a 60% response) 80% of the mayors were in favour of ‘regulating the backdoor’ (i.e. making it legal). However, only 18% were in favour of making the market for soft drugs completely free. 22% were in favour of reducing the number of coffeeshops and 10% want to close them all. Strikingly, this has little to do with the view of their political party, from which NRC Handelsblad concludes it is based on practical considerations, rather than ideological. Each municipality has a coffeeshop policy. Some do not allow any; most of these municipalities are either controlled by strict Protestant parties, or are bordering Belgium and Germany and do not wish to receive “drug tourism” from those countries. 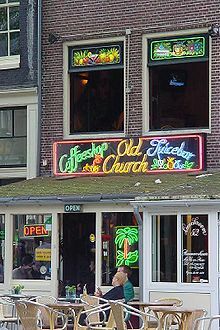 A 19 March 2005 article in the Observer noted that the number of Dutch cannabis coffeeshops had dropped from 1,500 to 750 over the previous five years, largely due to pressure from the conservative coalition government. The “no-growth” policies of many Dutch cities affect new licensing. This policy slowly reduces the number of coffeeshops, since no one can open a new one after a closure. Most municipalities have designated a certain zone (e.g. around schools and high schools) where coffeeshops are not allowed, which may be from a hundred metres to several kilometres. The municipality of Terneuzen has put up road signs showing the way to the coffeeshops and decided to restrict local by-laws for cannabis from May 2009. 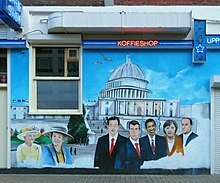 In Maastricht the coffeeshops are forbidden for foreign tourists. A controversial measure to introduce a wietpas (Dutch) or “weed-pass” membership system — pushed primarily by Christian political parties within the Dutch coalition government – has been proposed; this pass would restrict coffeeshop cannabis sales to residents of the Netherlands with a membership card only. The ban for foreign tourists started in three southern provinces on 1 May, and is due to go nationwide by the end of 2012. Despite strong protests from coffeeshop owners, a judge in the Netherlands has upheld a new law to ban foreign tourists from entering cannabis cafes. Lawyers representing the coffeeshop owners have promised to appeal the ruling, and protests are continuing. Municipalities do have some form of control, for example coffeeshops in the city of Amsterdam still sell to foreigners without any discrimination or extra demands/limitations. ^ “Dutch cannabis cafe owners fight changes”. BBC News. 27 April 2012. ^ “Coffeeshop Info”. coffeeshopibiza. Retrieved 31 October 2015. ^ “Amsterdam Coffee Shop News 2014”. Amsterdam.info. Retrieved 4 May 2014. ^ “Dutch border towns close coffee-shops Expactica, 24 October 2008”. Expatica.com. Retrieved 28 November 2011. ^ Phillips, Leigh (16 July 2010). “Maastricht ban on tourists in marijuana cafes upheld by EU court”. The Guardian. London. ^ “Netherlands judge backs cafe cannabis ban”. BBC News. 27 April 2012. ^ Taylor, Jerome (15 December 2010). “No weed pass, no cannabis, Dutch tell foreigners”. The Independent. London. ^ “Amsterdam’s 2008 no-smoking law and you”. Amsterdamlogue.com. Retrieved 28 November 2011.